I hope you found last week`s SEO Myth Debunked helpful. This week`s SEO Myth debunked focuses on transparency. Our Process is Secret – We Can`t Tell You What We Do. There are no real “secrets” to search engine optimization. There`s strategy and tactics to help engage your target audience with relevant content, and make sure that your site is coded properly so that it won`t prevent search engines from indexing them properly. 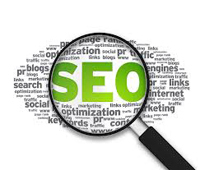 However, SEO is something anyone who stays current with the latest industry research can tackle. Most people are capable of installing tile on their kitchen floor. It`s not rocket science. However, if this is a skill they haven`t learned, it`s often a lot less frustrating (and the results are much better) when a trained professional takes care of the job. A good search marketing firm knows that they are specialists and may have years of experience learning how to write content, analyze the right keywords and engage with successful link building campaigns. • Analyze your site for crawl errors that prevent search engines from indexing your site properly. • Do keyword research to show the high-value keywords that can drive targeted traffic to your site. • Do competitive analysis for your site and the sites of your competitors to see how your site compares, and what other people in your space are doing successfully. • Add new content to your site (or help strategize and help you create new content for your site) that will keep search engines like Google understand that your site is a living, breathing site with well-written content added regularly. • Monitor analytics, including the bounce rate on your site (how many people click through to your site from a search engine, and then “bounce” back to the search page, because they didn`t find what they were looking for). • Reach out to relevant sites for inbound links in a responsible way. • Help you engage your target audience through social media. • Check in with you at least once a week (depending on budget) and review successes and strategy each month. In addition, an above-board search engine optimization company will make sure that the content, keywords and link strategies are right for your company. Someone who doesn`t share their process, and give you the ability to give input into the strategy and tactics for your site, should be considered suspect. I hope you found this SEO Myth Debunked newsletter helpful. Let me know if you`d like help with your Search Engine Marketing!